WASHINGTON — Proposals to limit corporate money in politics and personal use of campaign funds, along with bills to expand absentee voting or address problems with incorrectly assigned voters that wreaked havoc on Virginia’s 2017 elections, are set to be considered by the Virginia General Assembly in the session that begins Wednesday. Redistricting changes are a key issue this year, since any significant change to policy would require an amendment to the state constitution be approved by both this year’s session and the next, before sending it to Virginia voters in 2020. Proposals meant to remedy voters being assigned to the wrong districts would require additional reviews and attempts to restrict the number of precincts split between multiple legislative districts. There are also a number of bills aimed at expanding voting access — including proposals to repeal Virginia’s ban on felons voting, to repeal Virginia’s photo ID requirement for in-person voting, to eliminate the requirement that voters have a qualifying reason to vote absentee, to expand automatic voter registration, to provide additional voter registration information at colleges and jails, and to test running elections by mail. Another bill though would require additional verification of voter registrations with an exact match to additional databases in order to keep people on the rolls. And another bill again aims to expand the State Board of Elections and limit the governor’s authority over state elections. A bill with higher odds of passing would move the June primary from the second Tuesday to the third Tuesday largely so that it is held after school lets out. If reasons remain required for absentee voting, there is also a proposal to allow anyone 65 years old or older to vote absentee either by mail or in person. A separate bill would allow anyone in line to vote absentee in-person when a location closes to still cast a ballot that day, in the same way people in line on Election Day still get to vote. Significant campaign finance changes are also proposed, although like other bills, it is not clear whether any will pass since similar bills have been previously rejected in the GOP-led General Assembly. The proposals come ahead of November’s election of all 140 seats in the state legislature. The campaign for control is expected to be fierce, since Republicans have only a two-seat edge in each chamber. Virginia Gov. Ralph Northam threw his support Monday behind bills that would ban direct contributions to candidates from businesses, and that would ban the personal use of campaign funds by candidates. Under the second bill, sponsored by Falls Church Del. Marcus Simon, any voter in a district would be permitted to file a complaint over personal use of campaign funds that would be heard at a public hearing. A competing bill filed by Del. Mark Cole, the Republican chair of the committee that would hear the bills, would also ban certain personal use of campaign funds but would set a smaller penalty, require the complaint be filed by a campaign donor, and require the initial hearing of the State Board of Elections be held in private. Other campaign finance proposals would ban Dominion Energy from making contributions to candidates, require campaign finance disclosures in online ads on platforms such as Facebook and Google, set a cap on how much an individual can contribute to statewide and General Assembly candidates, require regular audits of campaign finance reports, and allow for local governments to set up public campaign financing for local offices along with tighter regulation. Several bills would put term limits on state lawmakers or change Virginia’s unique rules for the governor. For governor, proposals would remove the ban on serving consecutive terms but provide that no person could serve more than two terms. 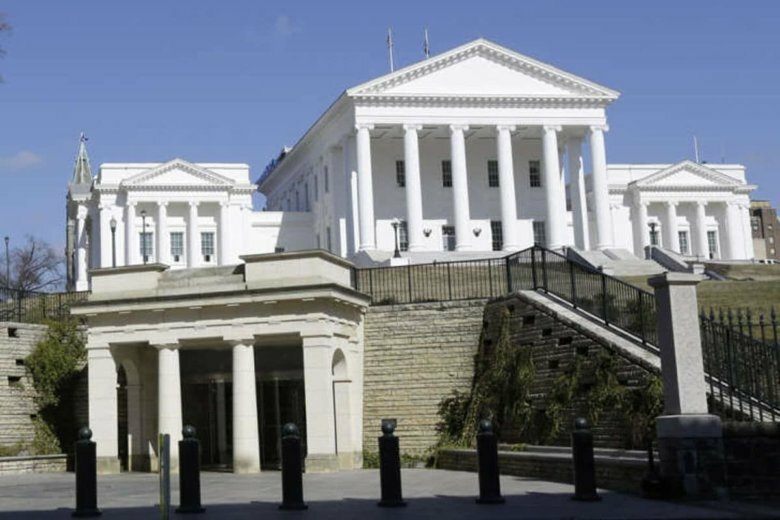 Another bill would require candidates for governor and lieutenant governor live in Virginia for eight years rather than five before running for governor. For General Assembly members, the proposal would set term limits in either house equivalent to 12 years. In presidential elections, there is also a proposal to split Virginia’s Electoral College votes by Congressional district, with only the two electors representing the senators chosen by the majority statewide. Democrats have been winning consistently in statewide races for the last few cycles, but Republicans hold four Congressional seats. Another proposal would allow candidates for local constitutional offices such as sheriff, to have their party listed next to their name on the ballot. Today, only candidates for federal and state offices are identified by party on Virginia ballots. Loudoun County Board of Supervisors Chairman Phyllis Randall and Fairfax County Board of Supervisors Chairman Sharon Bulova are both women.